IV RE-UPLOADE the Deluxe Corner bath the green water has been FIXED iv done some re-animation editing to the water to give it a more real look, and this was needed to get it to work, Also added a Green colour bath to the selection of colours. Add don't forget to download the two new corner baths. 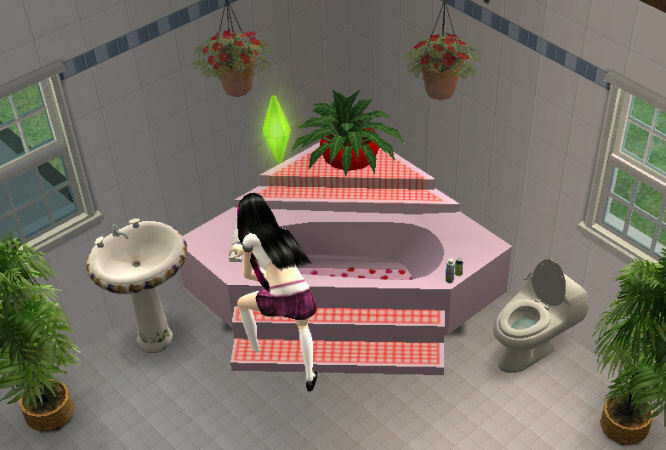 This is a space saver; the corner bath will give your Sims bathroom that spacious look. Comes in wide range of colours, Red, Yellow, Blue. Easy to re-colour and you have my permission to re-colour. NOTES: Water has green edge, I’m working on this but it a bugger. Please Don't Steal my work.. The Base object Made by FatD may be coloned. If you don’t have a rar extractor, for a free unzip tool (ALzip) go to. 3635 people have said thanks to mickyss for this download.